The current athleisure trend dictates that activewear must offer performance functionality but also look great (hooray). Investing in a jacket you can run in but also wear day to day is essential, and Lululemon is where to go, advises Héloïse Nangle. The one above has both Glyde fabric panels and sweat-wicking Rulu fabric, as well as 360-degree reflectivity. "Leggings that are suitable for lifting weights in, going for a run in or stretching at a yoga class are what's on every one of my female clients' wish lists," says Lee Mullins. The NikeLab DryPower Speed tights took inspiration from the vibrancy of the Rio Olympics—with its close fit your muscles are supported, enabling you to run in comfort. Alternatively, Louise Parker suggests Hey Jo's Cassini Leggings for their funky little ankle zips, and the Lorna Jane Compression Leggings in 3/4 length because they "last forever." Women want chic workout wear that is also technical, including such features as climate-control fabrics. Some brands may look pretty but offer nothing in terms of actual performance, so beware of spending the money, Nangle warns. No Ka'oi pieces are a great mix of sports-luxe and functionality. This Ola bra, for instance, provides good support thanks to its stretch-piqué fabric made with Adaptive technology (and it looks pretty cool too). "I tend not to worry too much about trends per se, but style matters," says Parker. "If you buy fabulous brands—the best you can afford—and chose wisely, they won’t date. So I have a small, edited workout wardrobe that really does get worn. I layer up and love Stella McCartney jackets, which are so lightweight and never go out of style." "In the winter, when we're working outdoors, you need to layer. 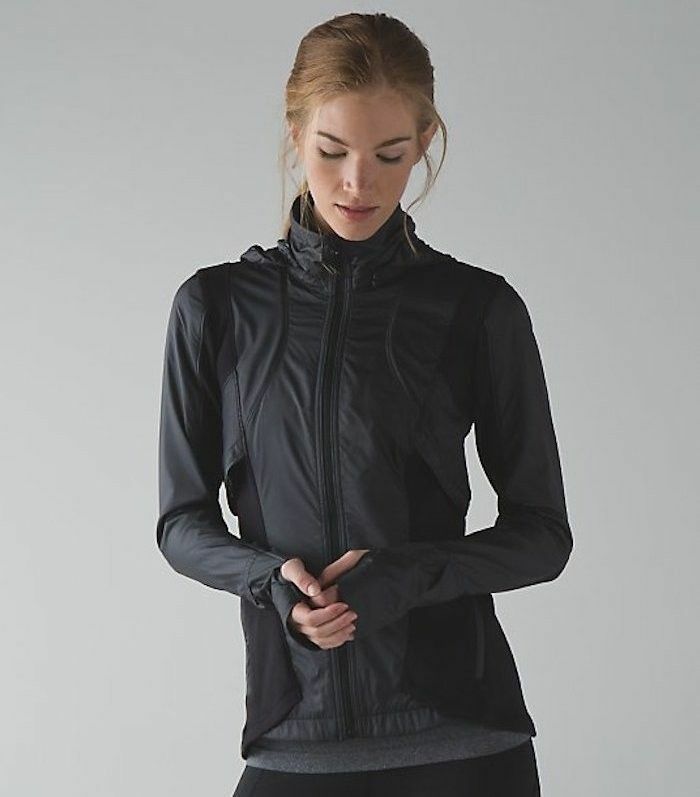 GapFit do amazingly good layering pieces, which are fabulous value, never date and have those little thumb holes to keep your hands warm for outdoor winter workouts," says Parker. With moisture-wicking material, this long-sleeve tee draws sweat away from your skin but will stop you from freezing. "My winter Louise Parker Method workouts on lazier days call for Sundry trackbums, LNA tanks and Wildfox sweatshirts, which I buy from Donna Ida," says Parker. These sweatpants have a drawstring waist and elasticated hems, so the fit is close, comfy and warm. "Adidas is having a real revival, and its new Pure Boost X trainers are a must," says Nangle. "Not only comfortable, but they come in all colourways and look great on too," she says. Take this vibrant pair in red—with arch support, the Stretchweb outer sole adjusts to the ground for enhanced stability, no matter the conditions. Most people move their training indoors in the autumn, and there's a big shift toward boutique studios where you can pay as you train. Go for a sports bra and leggings, but make sure they're outdoor-appropriate too, says Nangle. The Nike Flash Collection uses high visibility fabrics that also provide enhanced weather protection. This bra has both Dri-Fit fabric (for all that major calorie-burning you'll no doubt do) and reflective details to provide high visibility in poor light. LNDR's new lookbook is to die for, says Nangle. Yes, the pieces are expensive, but everyone needs a little luxury in their workout wardrobe for motivation—agreed? The climate control micro-coating of this jacket regulates temperature, so it's not only chic but also practical. A must. With all that wind whistling by as you sprint around the park, it's important you protect your ears. The added bonus of an ear warmer, like this one by Lululemon, is that it doubles as a hairband. With 360-degree reflectivity, you'll be visible in poor light, and with sweat-wicking Rulu fabric, your forehead should stay moisture-free too. Now that's multifaceted! It's only when you're in the thick of your 5K and your hands are about to fall off that you remember them. Stuffing them down your sleeves proves largely ineffective and they often end up dry and raw. Running gloves might not epitomise style to you, but sometimes it's prudent to be practical. This pair by Nike, made of Nike Dri-Fit fabric, absorbs sweat whilst the Shield fabric repels rain. This means your hands stay dry, top to bottom; worth getting your mitts on 'em. 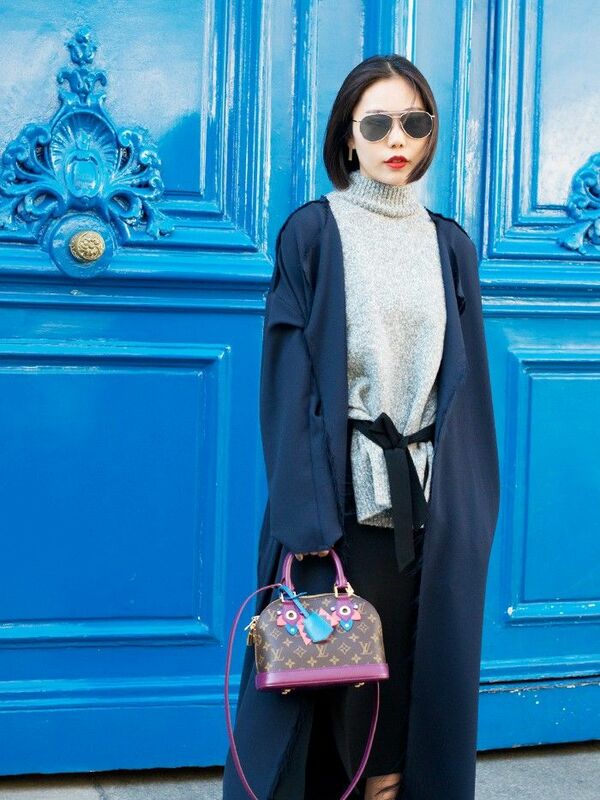 See how you can wear your athleisure staples even to the office.